Any of you Jon Stewart fans will know that Stephen Colbert comes on right after the Daily Show. A few nights ago I was watching The Colbert Report. He announced his new revenue generator to fund his super PAC. Colbert has his very own Ben & Jerry’s flavor: Americone Dream. Thursday night we ran out of milk and laundry detergent. So I went to my local Wally world — our Walmart is pretty hit or miss but I happened to be in the ice cream aisle (shocker). And there it was … Americone Dream. it is delicious!!! And Stephen Colbert is very funny. 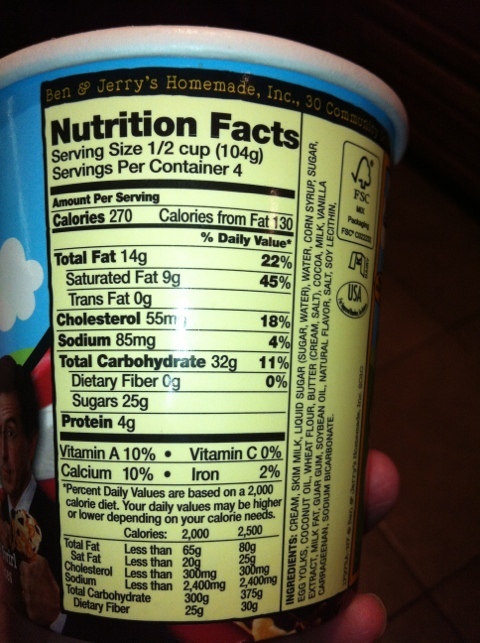 But the calorie content is not! (but it was worth every bite!